I used to write stories about the Easter bunny in kindergarten. Next, it was witches. By first grade, I was the only kid in class who could spell "Transylvania" because I was reading Dracula. I've always been a bookworm, devouring each Nancy Drew or Goosebumps book in rapid succession as a child. I wrote a few horror stories and mysteries in middle school as well, and then....nothing. I joined concert and marching band and went on to play the saxophone from sixth grade to my fifth year of college. Eventually, I received a certificate from UGA's Music Business program and began working in promotions radio, at music festivals, and other promotional events. Its been a while I read a murder mystery. So when the author requested me to review her book, Murder at Castle Rock I was solely said yes for the amount of curiosity it had gathered in me and I was surely not disappointed. 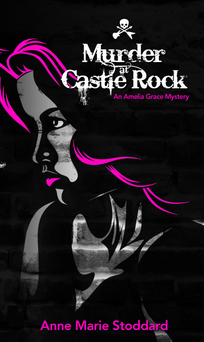 Murder at Castle Rock is about Amelia Grace and her sheer grit and determination which helps her solve a murder involving her best friends. Treachery, lust, love and friendship all seem to be at stake when money is in question. A thoroughly enjoyable book purely because of the suspense mixed with love and humour in liberal doses. For a first time, the author has done a commendable job in creating suspense and intrigue making it a page turner of all sorts. A recommended read for all suspense lovers who enjoy murder mysteries as this ensures you a perfect roller coaster ride leaving you with a high feeling! 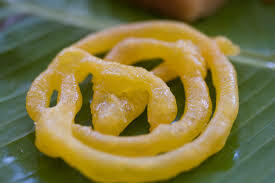 This book is like a jalebi - sweet, tangy and mysterious! P.S: This review has been requested for by the author.